Voice instructor, vocal producer and lawyer, Andreas Grussl runs a very successful voice studio in his hometown of Graz, the second biggest city in Austria. He trains singers from all over Austria and Europe in person and over the Internet. Andreas is known for high-quality vocal instruction and effective help to singers of all genres and levels. Andreas’ vocal producing projects focus on the beauty of great singing, but also on creating a sellable product that has its finger on the pulse and can easily be placed on the market. His skills as a vocal instructor provide immediate help in difficult recording sessions and relax the artist in order to get an exceptional finished product in a comfortable and relaxed manner. 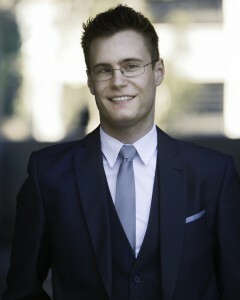 In his legal life Andreas works at a law firm that specializes in business and corporate law. He also lectures on constitutional and governmental law at the University of Technology in Graz. His legal background includes working at the Institute for Tax Law at the Law School of the Karl-Franzens-University at Graz, where he published articles and a book on Austrian and International tax law. Due to Andreas’ combined skills singers frequently consult with him for his expertise in dealing with the recording companies or for career advice. As IVA’s Vice President, Director of Legal Affairs, and Assistant to the CEO, Andreas will support CEO Jeffrey Skouson in managing the daily operations and will overlook the corporation’s legal affairs.